Congratulations to Colorado Youth for a Change – Colorado Reading Corps. The Denver Post Pen & Podium Literary Series welcomes award winning authors to speak to our sold out crowd of subscribers and on Saturday, March 9, we had the pleasure of hosting the bestselling mystery writer, Louise Penny. What a great night it was hearing about her way of writing, thinking and living and enjoying her sense of humor the whole way through. Louise joined us backstage prior to her talk to meet and help present a $5,000 grant to Colorado Youth for a Change – Colorado Reading Corps. This program manages kindergarten through third grade students in seven school districts across the state, to increase reading proficiency. 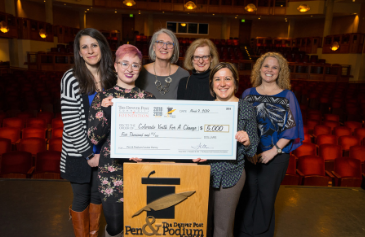 Accepting the check on behalf of Colorado Youth for a Change were executive director, Mary Zanotti, Katie Garthwright, Kindra Weisbrod and Jen Reming, pictured with our featured author from Canada, Louise Penny, and Stacy Schafer from The Denver Post Community Foundation. https://wordpress-niche.medianewsgroup.com/denverpostcommunity/wp-content/uploads/sites/3/2019/03/Copy-of-Untitled-Design.png 237 365 sschafer https://wordpress-niche.medianewsgroup.com/denverpostcommunity/wp-content/uploads/sites/3/2014/02/dpcHeaderLogo-300x96.gif sschafer2019-03-15 19:10:212019-03-15 19:10:35Congratulations to Colorado Youth for a Change - Colorado Reading Corps. 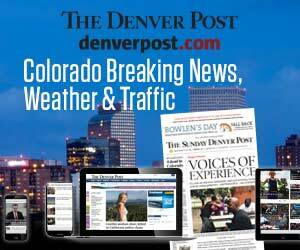 On Monday, January 28, 2019, The Denver Post Pen & Podium Literary Series was pleased to welcome Celeste Ng, award winning author of “Little Fires Everywhere” and “Everything I Never Told You.” She shared stories that were inspiring, honest and comical about her life, being a mom, and her writing process. Prior to Celeste’s on-stage conversation, and the Northwestern Mutual VIP Reception backstage, she joined The Denver Post Community Foundation in presenting a $5,000 grant to Brink Literacy Project, a nonprofit organization devoted to utilizing the power of storytelling to positively affect the lives of people on the brink. 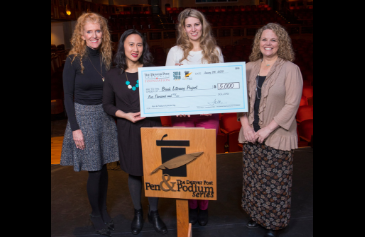 In the photo, pictured from left to right are: Tracy Ulmer, president and CEO of The Denver Post Community Foundation; Celeste Ng, Pen & Podium featured author; Dani Hedlund, founder and CEO of Brink Literacy Project; and Stacy Schafer, communications and grants manager of The Denver Post Community Foundation. 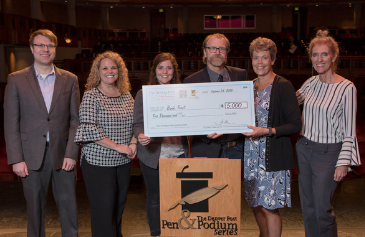 On Monday, November 12, 2018, The Denver Post Pen & Podium Literary Series welcomed bestselling author, Amor Towles to the stage. 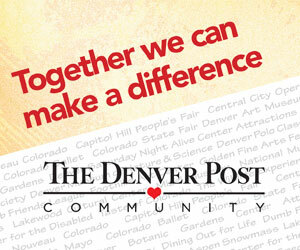 Prior to his lecture, Mr. Towles joined The Denver Post Community Foundation in presenting a $5,000 grant to Reach Out and Read Colorado, a nonprofit organization that works to give young people a foundation for success by incorporating books into pediatric care and encouraging families to read aloud together, with a special focus on children growing up in poverty. 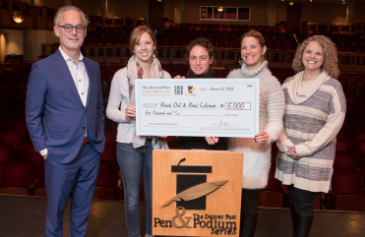 In the check presentation photo, from left to right is Author, Amor Towles; from Reach Out and Read Colorado is Jessica LeMaire, Rebecca Oehl, and Executive Director Meredith Hintz; and from The Denver Post Community Foundation is Stacy Schafer. The Denver Post Community Foundation and The Denver Post Pedal The Plains Bicycle Tour was proud to present a $7,000 grant to the Colorado 4-H Foundation in Limon, CO on Saturday, September 15, 2018. This grant will support Adams, Arapahoe, Elbert, El Paso, and Lincoln counties’ STEM after-school programs. We are grateful for the hard work at the aid stations throughout the weekend by Colorado 4-H members. 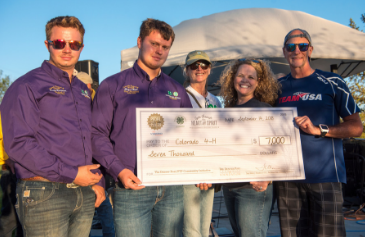 Michael Felicissimo of PTP’s presenting sponsor Viaero Wireless and Stacy Schafer of The Denver Post Community Foundation presented the $7,000 check to state 4-H director, Jean Glowacki and two representatives who shared their experiences with the organization. 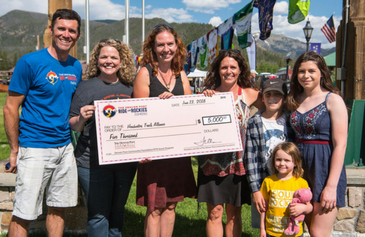 In each of the five host communities of the 2018 Denver Post Ride The Rockies Bicycle Tour, a $5,000 grant was presented to an outstanding nonprofit organization working towards improving and enriching the lives of those in their communities. Please join us in congratulating The Cycle Effect. 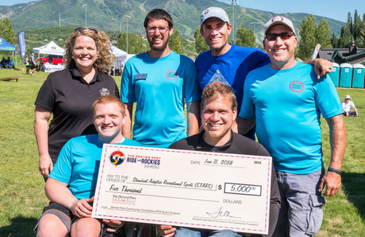 In each of the five host communities of the 2018 Denver Post Ride The Rockies Bicycle Tour, a $5,000 grant was presented to an outstanding nonprofit organization working towards improving and enriching the lives of those in their communities. Please join us in congratulating Mountain Family Center. 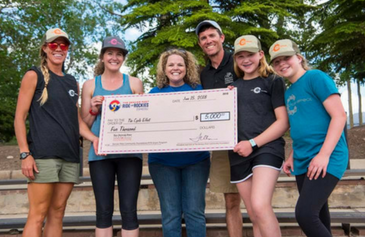 In each of the five host communities of the 2018 Denver Post Ride The Rockies Bicycle Tour, a $5,000 grant was presented to an outstanding nonprofit organization working towards improving and enriching the lives of those in their communities. Please join us in congratulating Headwaters Trails Alliance. 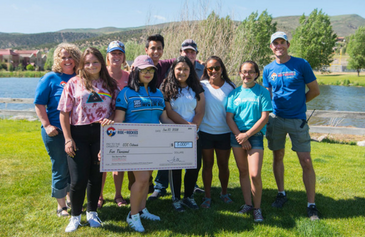 In each of the five host communities of the 2018 Denver Post Ride The Rockies Bicycle Tour, a $5,000 grant was presented to an outstanding nonprofit organization working towards improving and enriching the lives of those in their communities. Please join us in congratulating STARS. 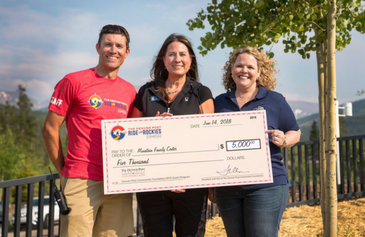 In each of the five host communities of the 2018 Denver Post Ride The Rockies Bicycle Tour, a $5,000 grant was presented to an outstanding nonprofit organization working towards improving and enriching the lives of those in their communities. Please join us in congratulating SOS Outreach.